Street view of Joy Lyn's Candies building and our beautiful walnut tree, which is over 100 years old. Fresh made caramel corn cooling on the table. Tempering milk chocolate to get ready to make truffles. Piping in the ganache filling for some delicious chocolate truffles! Adding the peanuts to the copper kettle for the Peanut Brittle. 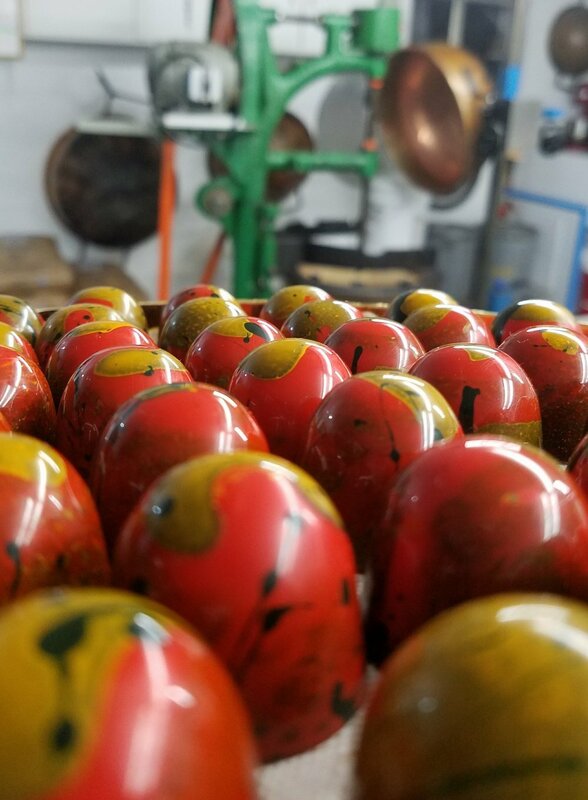 Hot & Spicy Habanero Truffles on the table waiting for packaging.